Lambdas are custom functions that can be fired using a trigger action. 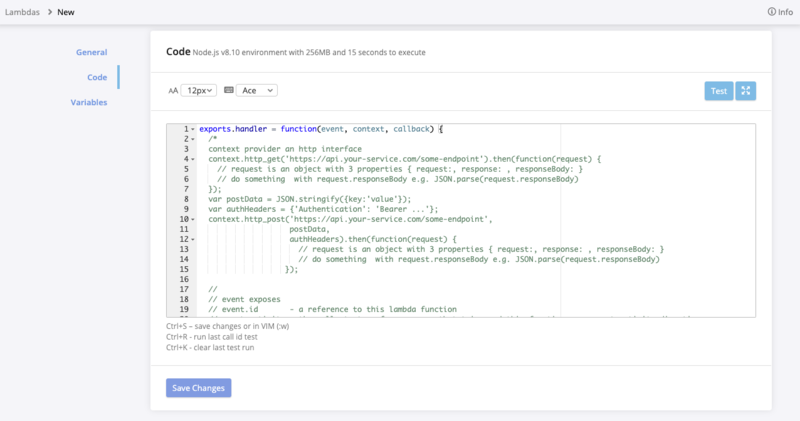 Creating a lambda allows you to execute a custom code you have created using any rules available in triggers. Lambdas run within a Node.js v8.10 environment and are given 256MB and 15 seconds to complete. Navigate to Settings → Lambdas. Enter a name for this lambda function. If you wish to add environment variables to your lambda, click +Add Variable and specify the name and value for your variable. To execute your new lambda, you will need to create a trigger or add a new action to an existing trigger. Click here to learn more about trigger setup. Navigate to Calls → Triggers. If you wish to edit an existing trigger, click edit next to the name of the trigger you want to use to run the lambda. Otherwise, you will need to create a new trigger. Use the trigger settings to configure when you would like the trigger to run and add any necessary rules to the workflow. 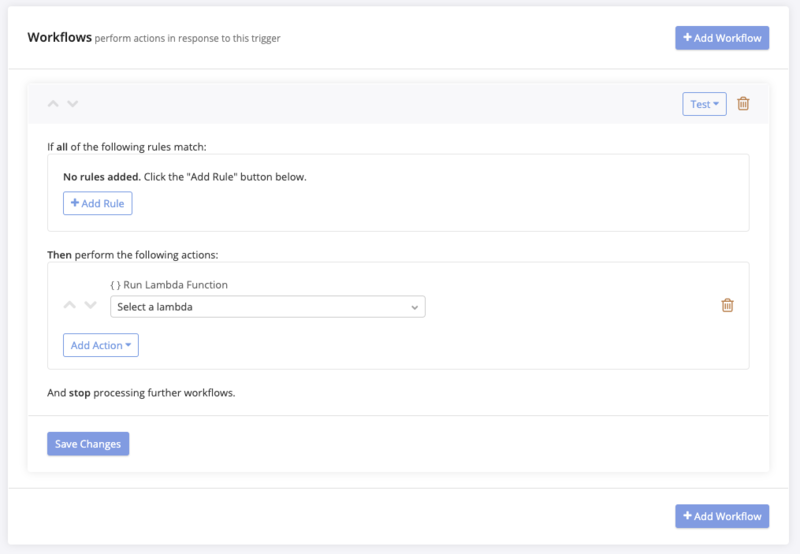 To run the lambda function as part of the trigger, click Add Action, then select Run Lambda Function. Use the drop-down menu to select the name of the lambda you wish to run.